Piccolo Lasso, also directed by Ite O’Donovan, is the junior section of The Lassus Scholars, catering for boys and girls aged eight to fifteen. In the choir the child’s first instrument, the voice, is developed and the childrens’ lives are enhanced forever by the many benefits long associated with music education. For more information see FAQ and Find Us on the main page under Contact. contact us. 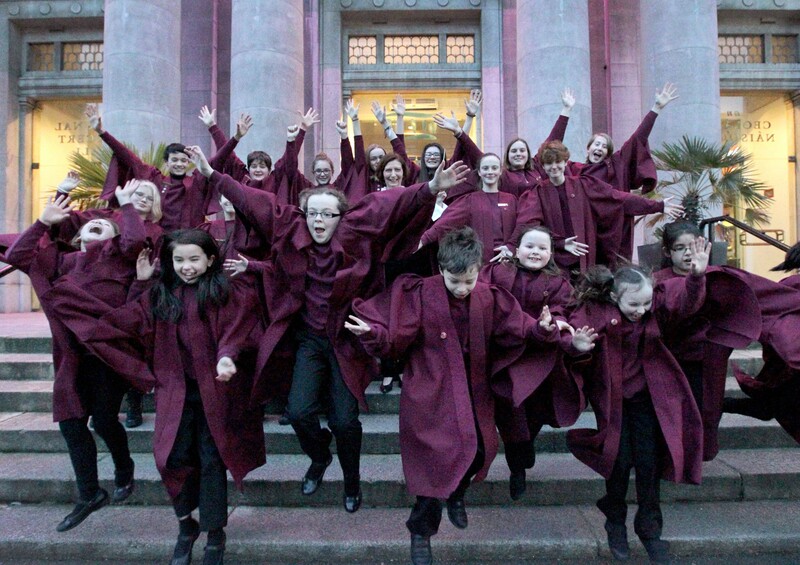 Members receive specialised training in sight-singing, notation and theory, vocal technique, interpretation and repertoire and are guided individually through the Dublin Choral Foundation Training Scheme leading to bronze, silver and gold awards. As well as joining in performances of large-scale works with The Lassus Scholars in the National Concert Hall and other venues, Piccolo Lasso has performed much of the specialist children’s repertoire including Faure’s Messe Basse, Britten’s Missa Brevis and Ceremony of Carols. The choir has also performed contemporary Irish compositions including Eric Sweeney’s Missa Brevis (which they have recorded) and Seoirse Bodley’s Missa Brevis in Angustiis which was commissioned by Dublin Choral Foundation in 2009. Piccolo Lasso has represented Ireland at the International Congresses of Pueri Cantores held in various European cities since 1998. In recent years they have performed in Rome (December 2010), Florence (October 2012) and Paris (July 2014). The choir sang in Westminster Cathedral, London, in October 2008 and 2009 in February 2011 in in June 2015. Members of Piccolo Lasso performed in Rome at the end of December 2015 and a group will sing in Salzburg in July 2016. Piccolo Lasso has broadcast frequently on Television and Radio, most recently in RTE’s 2016 Centenary Concert from the Bord Gais theatre. Members have participated in many Opera Ireland productions including the company’s final production of Tosca in November 2010. During 2013 Piccolo Lasso added their voices to numerous performances of Carmen with the Opera Theatre Company and in 2014 in The Magic Flute with Lismore Opera and The Magic Flute and Carmen Dublin’s Opera in the Open. In April 2014 and May 2012 the singers took part in The Falling Song with the modern dance company Junk Ensemble. They participated in Dublin City Arts Office “MusicTown” 2016. Videos on Piccolo Lasso Facebook. Piccolo Lasso sing at many venues during the Christmas Season. The children participate annually with the Lassus Scholars in the ESB ‘Great’ Christmas Concert presented by Dublin Choral Foundation at the NCH during December. In January 2016 they performed Mozart’s Requiem with the Lassus Scholars and the Company’s new full-professional choir, Lassus at the NCH. Forthcoming events include 21st Anniversary Concert at the National Concert Hall on Saturday, September 23rd 2017.